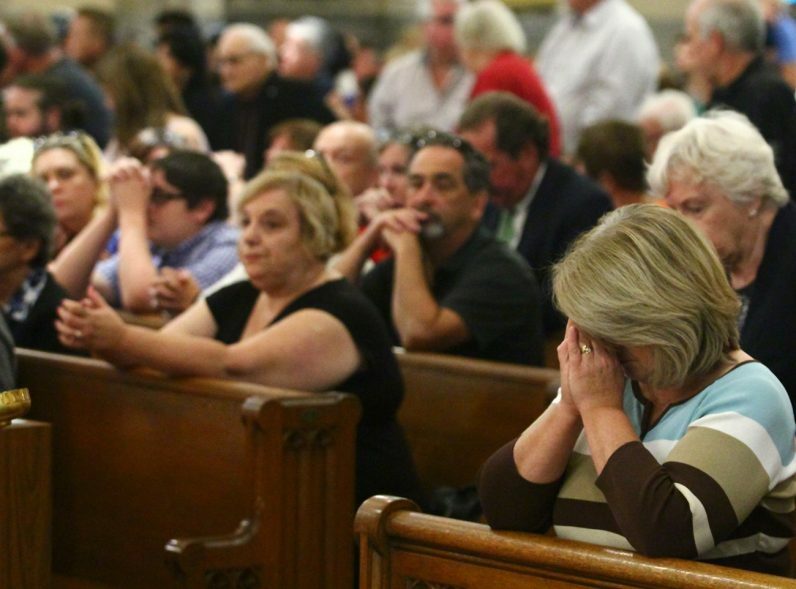 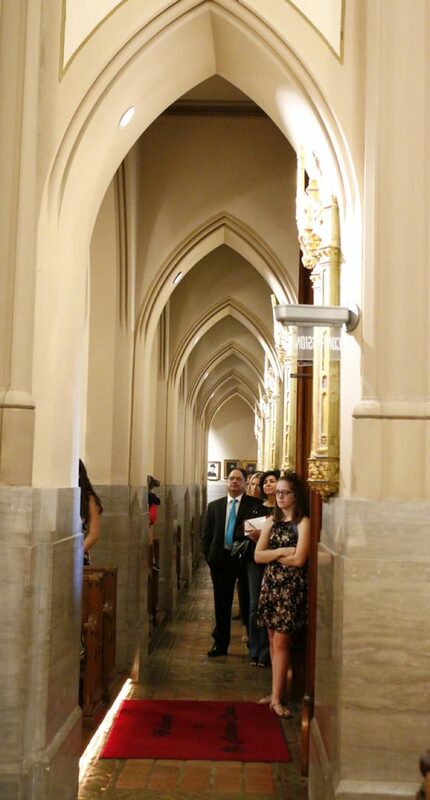 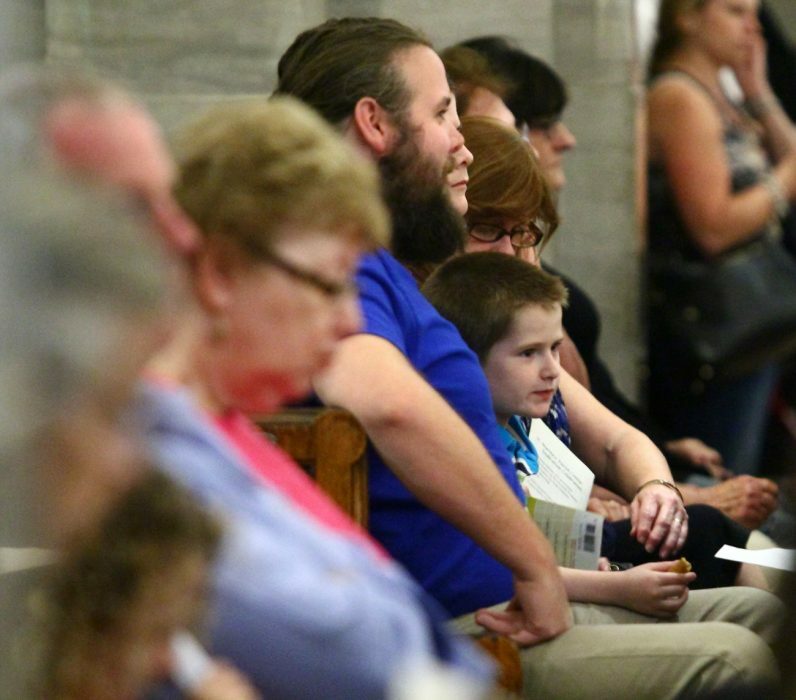 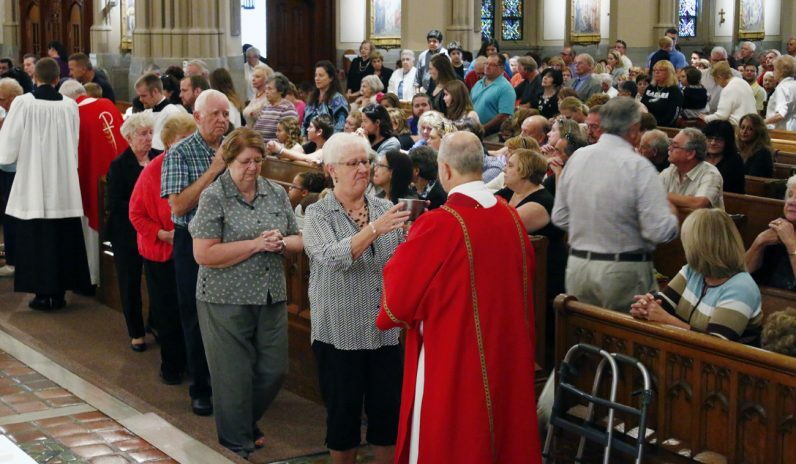 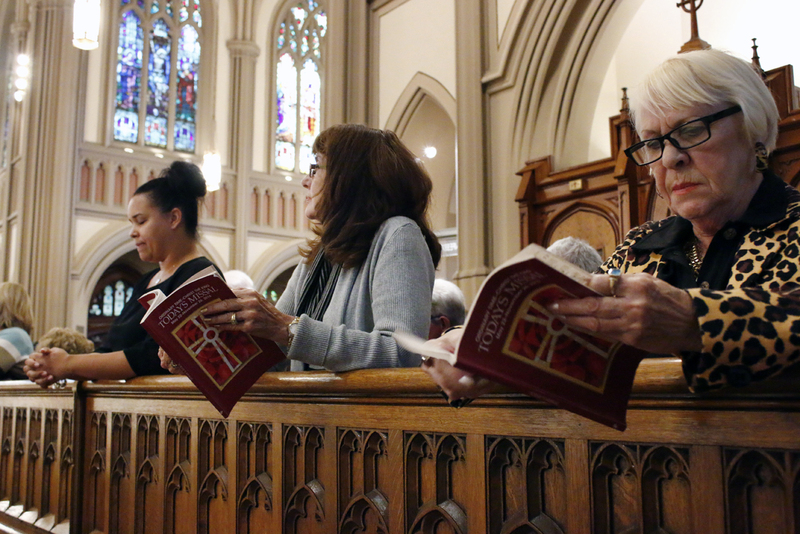 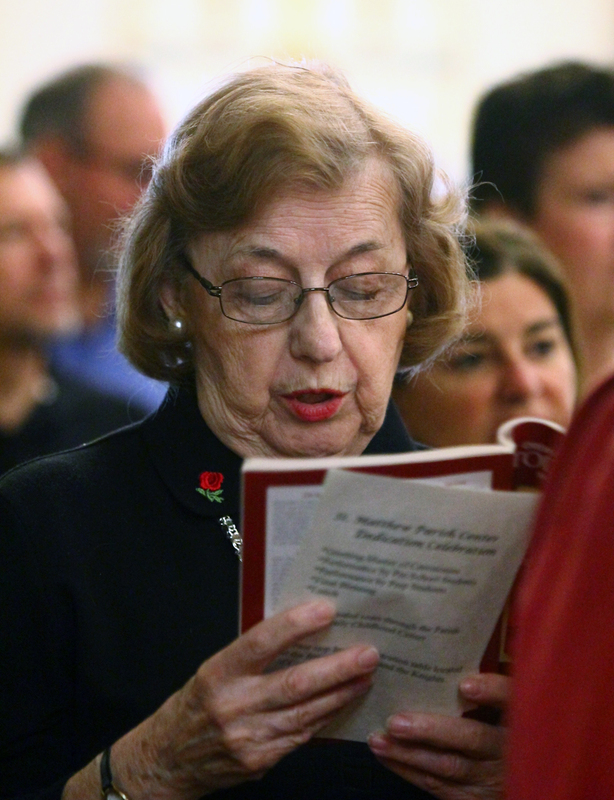 Parishioners follow the liturgy with missalettes at St. Matthew Church, Conshohocken. Bishop Michael Ftizgerald accepts the offertory gits from parishioners of St. Matthew Parish, Conshohocken. 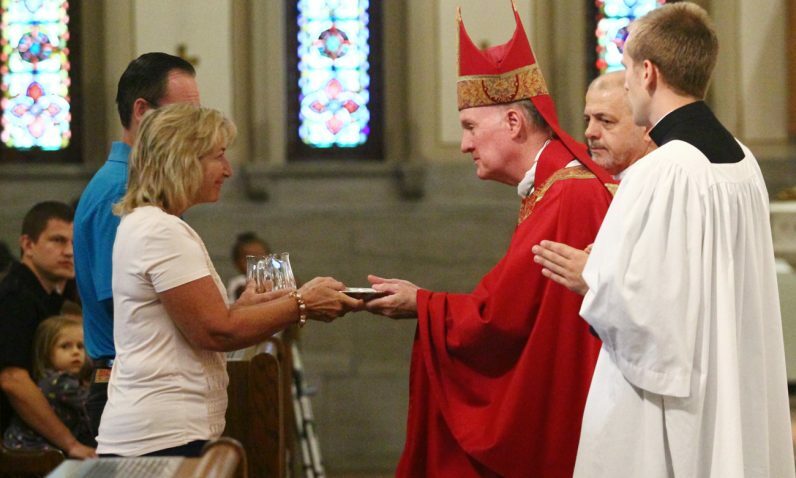 Debbie Myrick receives holy Communion as her daughters McKaela and Gabby look on. 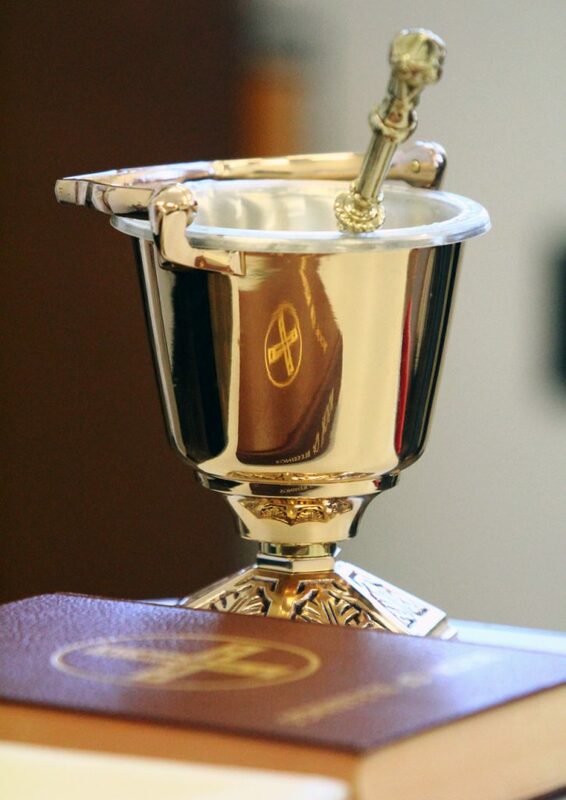 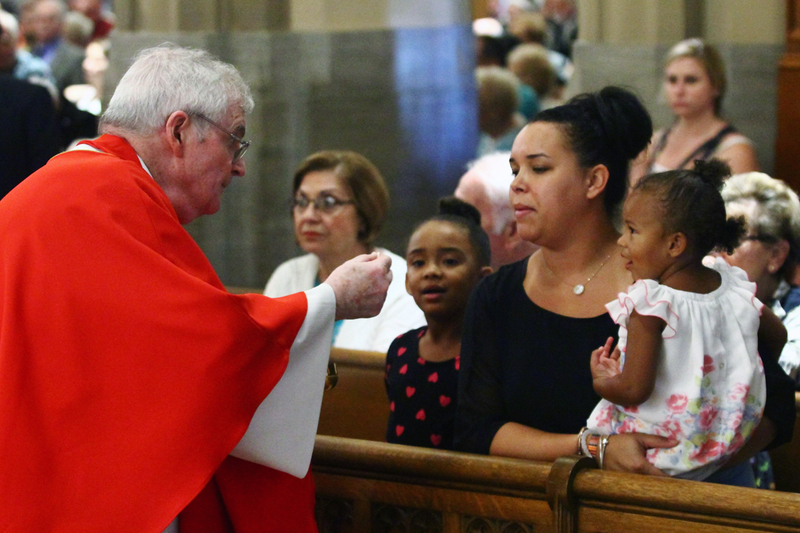 Father Thomas Heron, St. Matthew’s pastor, distributes holy Communion. 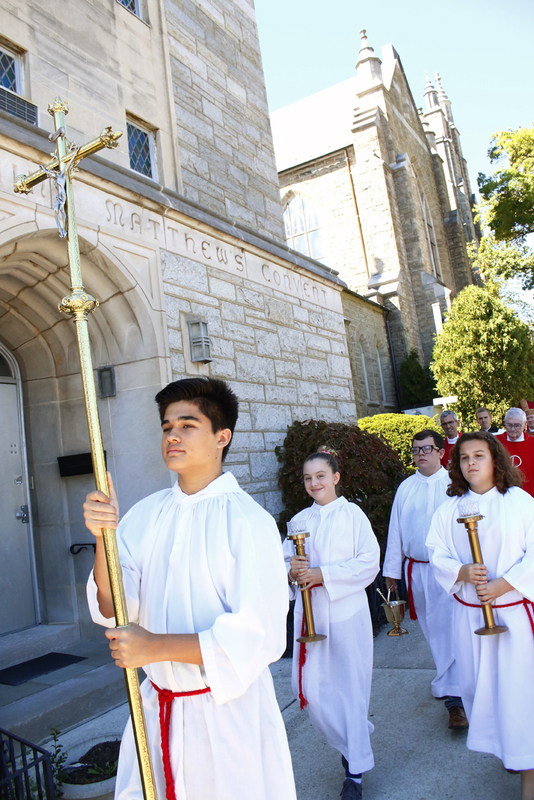 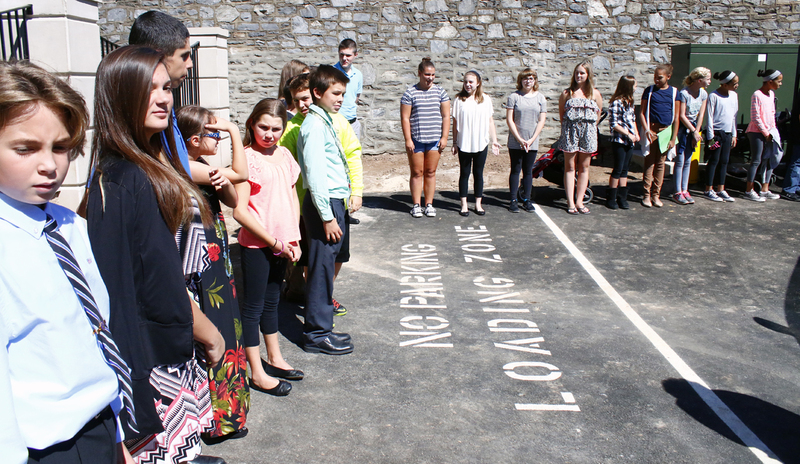 After Mass the altar servers lead the congregation to the new parish center for the blessing and celebration. 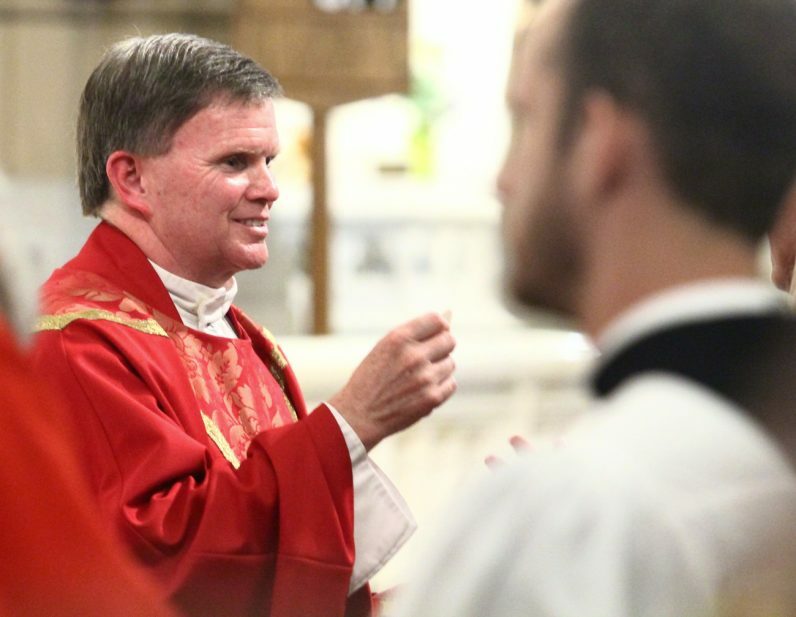 Bishop Michael Fitzgerald blesses the new parish center at St. Matthew Parish in Conshohocken. 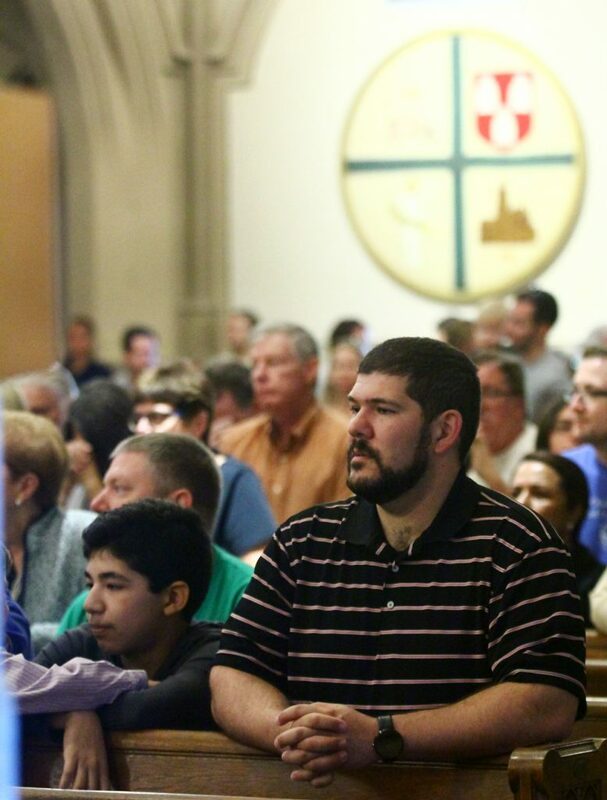 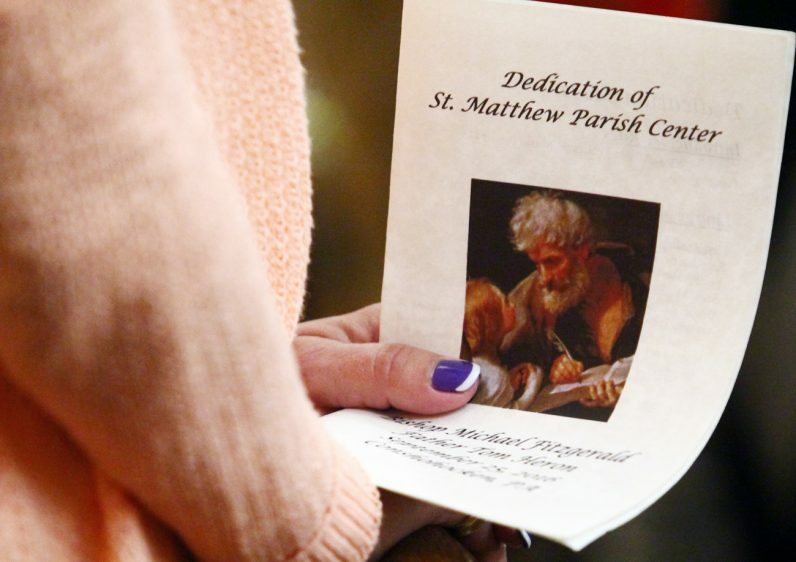 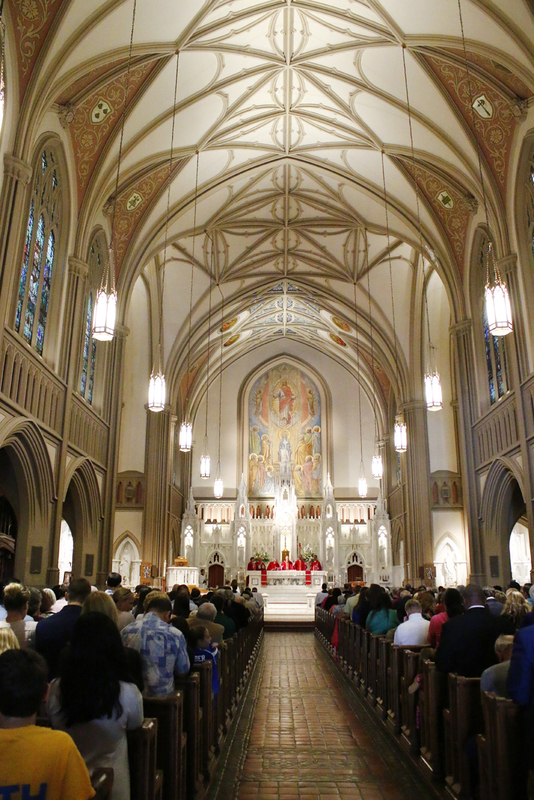 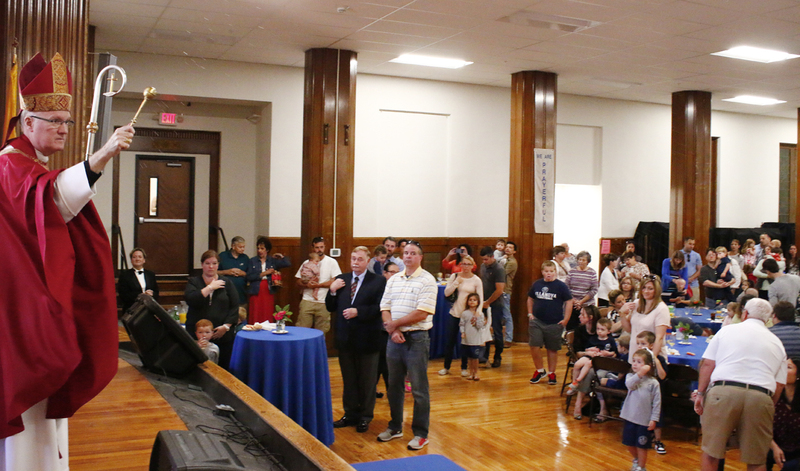 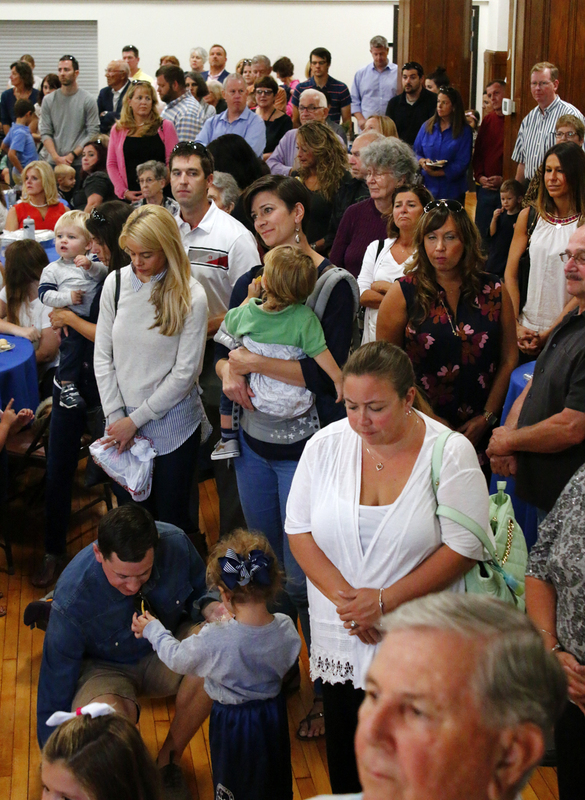 The people of St. Matthew Parish gather in the new parish center for the blessing and celebration. 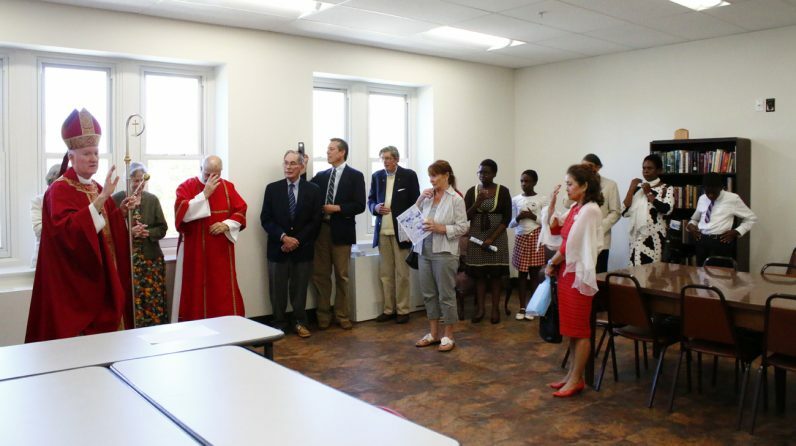 Bishop Michael Fitzgerald blesses the Mary Ann Lewis Room for New Evangelization. 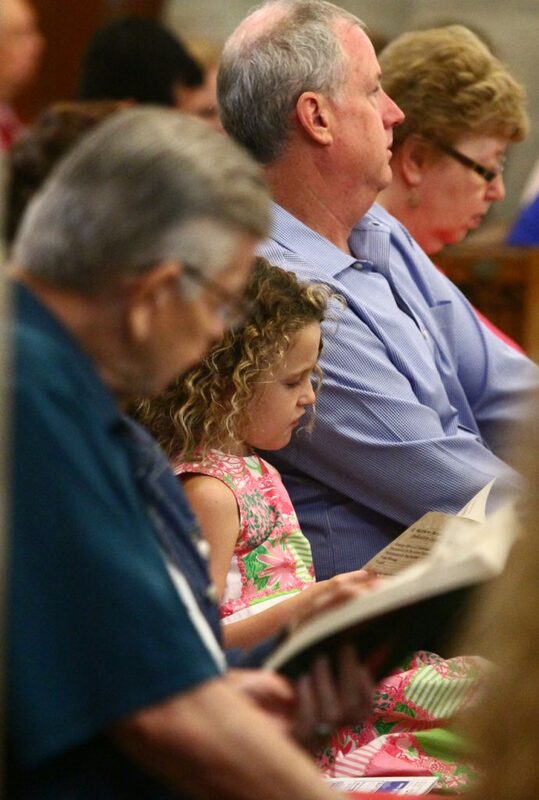 Lewis, now deceased, donated a large religious book collection to the parish. 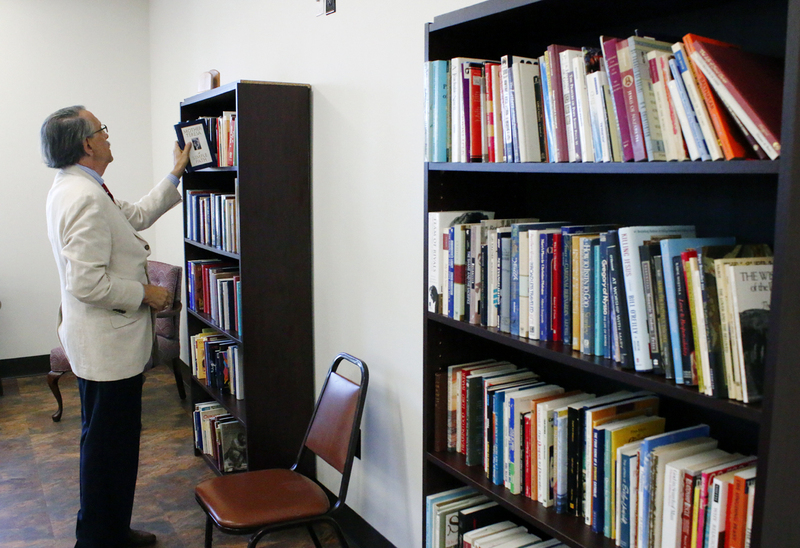 Stephen Aspero, a long-time friend of Mary Ann Lewis, checks out a book in the new room named for her. 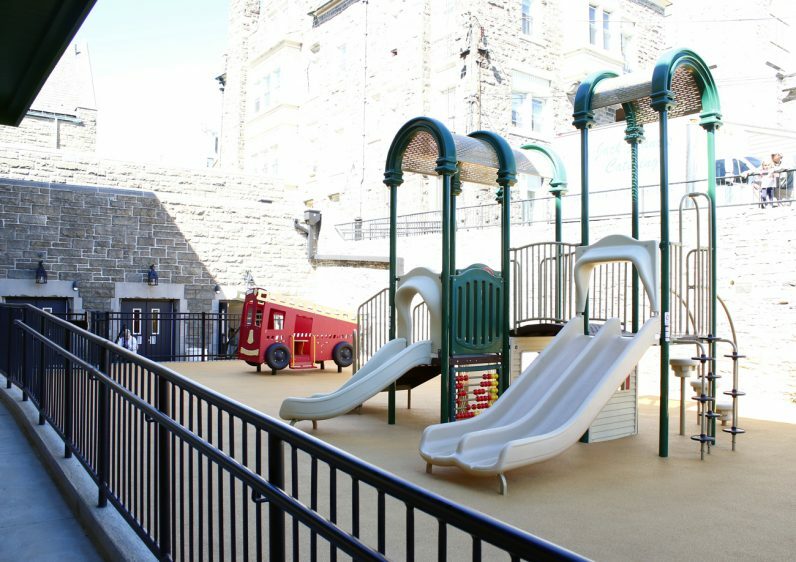 The new outdoor playground will serve as a safe place for the children of the preschool program to play.